never seen a biopic that bad!!! 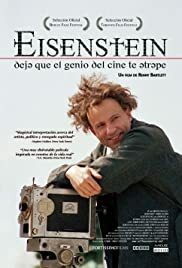 I hope that after this movie the true Ejzensteijn is going to resurrect and haunt the director for the rest of his life. I could not believe it: the biografic story about the best russian director ever existed, shot by a canadian director, with english-speaking actors in the true scenes of Russia! May I say anything else??????? ?